School is a stressful time. The American Psychological Association states school is the biggest source of stress for teenagers. The pressure on young adults to perform well in a variety of academic, sporting, and extracurricular activities is grueling. On top of this, teens at high school are expected to make wise, life-changing decisions. The modern world is wonderful in that there are so many choices available for students, but these same options can make their high school years seem overwhelming. You can't alleviate the stress and pressure of making life decisions for an 18-year-old. However, as a parent, there are some behaviors you can encourage to help your teen through this stressful time. Make sure your teen gets adequate exercise. Take family walks, go hiking or do some other activity together. The American Psychological Association notes exercising is one of the best ways to reduce stress, but doing something with your teen may also help them talk to you about things that are going on - a win-win situation. Psychology Today suggests that teens may feel less stressed if they take at least some time out to do things that truly love. Whether it's hanging at the mall with friends, or knitting, encourage those breaks to help your teen feel balanced and less stressed. According to the American School Counselor Association, it is unusual to find a single student who does not suffer from some degree of test anxiety. After all, students spend a lot of time taking tests. There are end-of-semester tests, end-of-year tests, subject matter tests, aptitude tests, state tests, national tests, and college aptitude tests. The list is endless to a stressed-out teenager. Sometimes those tests carry with them some real consequences for not doing well. It's no wonder teens can feel some serious anxiety over testing. While you can't take away your kids' tests, you can help them navigate the murky waters of their test taking anxiety. Make your teen breakfast. Eating a good breakfast helps provide your brain fuel for staying focused which can of course, enhance test performance. If high stakes college admission is the issue, help your teen understand that there are other options. There are schools that do not require SAT or ACT tests for admission, or there is community college. On top of that, scores are not the only deciding factor in college admissions. Encourage good study habits. Help your teen set aside times specific to studying for big tests. Not cramming will help reduce last minute test anxiety. 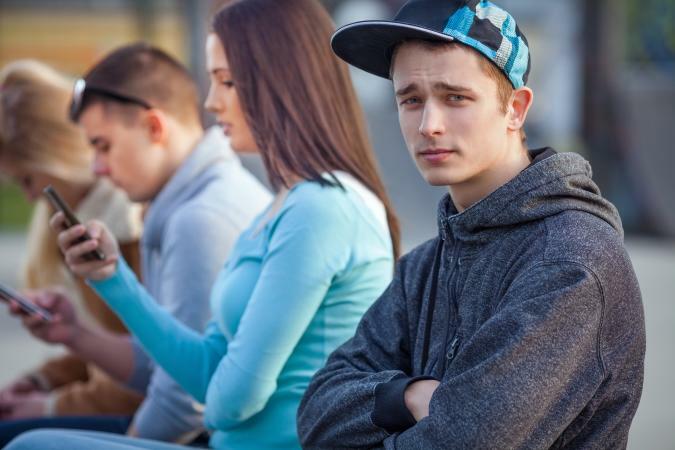 Help your teen advocate for himself. If testing is a chronic issue, suggest he go to his teachers and ask about extra credit or alternative methods of demonstrating that he knows the information. While not every teacher will say yes to all requests, most teachers will appreciate a student who is taking responsibility for his grades and education. By opening up a dialogue, your student may well be setting the stage for success - even if he never does particularly well on a test. Tiredness is a common problem for many teenagers. In some school districts, the bus comes at 6:30 AM, forcing students to get up far earlier than their natural sleep cycles would wish. In fact, so prevalent is the problem the American Academy of Pediatrics issued a statement in 2014 recommending that middle and high school classes start no earlier than 8:30 in the morning. However, their research found that 40 percent of high schools start before eight in the morning. There is not much parents can do about the time school starts or when the school bus arrives or all the extracurricular activities their student chooses. However, parents can help make sure their kids get enough sleep. Insist on a 'lights out' policy on school nights. Sure, it's not a guarantee that your teen will fall asleep promptly, but it does help ensure that she is winding down for the evening at a reasonable hour. Have a tech-free bedroom. Many teens have cellphones, computers and even televisions in their rooms - but taking these things out can help your teen use her bedroom for sleeping. If that doesn't seem like a viable option, consider just changing the wifi password after a certain time. Taking the internet out of the equation might help curb late night surfing and cyber-socializing. Compounding this early start time is the average high school student's homework schedule. According to a survey conducted by the University of Phoenix in 2014, this is 17.5 hours a week. If you do the math, you figure that's approximately three to four hours per night. Which might sound fine until you figure in that many teens have jobs, activities or other responsibilities to attend to, leaving little time for homework to get done at a decent hour. Parents can help their students organize and prioritize. Have your student use an online calendar or make a paper chart where they list all their fixed activities. Then, fill out the remaining time slots with when to complete homework, opportunities for exam study, sports, music practice and even relaxation. If the activities exceed the available time slots, parents can help students see that it might be time to let something go. Have a homework-friendly spot in the house. The space should be quiet, well-lit and well organized. Having a single spot to study and do homework might not lessen the homework load, but it can help ensure that your teen maximizes the time she does have to do homework and consequently, she'll be more productive. The American Society for the Positive Care of Children reports that approximately 28 percent of children aged 12 to 18 have been bullied at school. Bullying at school turns what should be a place of learning into a place of misery and even danger, and it takes many forms. Bullying can be physical, psychological, or it can even happen in cyberspace. Every day, thousands of teens are nervous about going to school because they know they will face a bully who will pick on them. This bullying can take the form of physical bullying - where a student feels their physical safety is immediately in danger. However, cyberbullying is a fast growing reality of the teenage world. The Center for Disease Control estimates that 15.5 percent of students are affected by cyberbullying in some way shape or form. Cyberbullying is very attractive to bullies who can remain anonymous and physically removed from their targets. Actively listen and focus on letting your teen know it's not his fault. Encourage your teen to talk to his school counselor. That is what they are there for. Make sure that you and your teen together also alert other personnel at the school. School personnel can help implement practical steps like changing the seating plan, helping your teen change his schedule, or even changing the bus route. Cyberbullying is harder to eliminate. Parents should make sure their children are physically safe and provide unconditional support. Many apps make it difficult to monitor activity, so building a strong relationship with your teen is vital in helping a cyberbullied victim. Your teen comes home every day with stories of an awful teacher. According to your teen, she looses his homework, picks on him for no reason, gives him bad grades 'just because' and goes out of her way to make his life miserable. One survey suggests that 65.5 percent of teens feel they've had a teacher negatively impact them. That's a lot of not getting along. While it's tempting to pull out your best mama bear impression, and go to school and sort out that nasty teacher, this is in fact, a great opportunity for you to model for your teen how to handle conflict - something they will deal with in their adult lives as well. Encourage your teen to see his guidance counselor. They are skilled mediators and should be an advocate for your child first. Also, when possible, you want your teen to work out situations for himself in preparation of life as opposed to stepping in and solving issues. Keep a journal with your teen that simply notes facts. This journal serves two purposes. First, journaling can help your teen work through his emotions of frustration and anger, making an emotional blow up less likely. Have him note what happened, why it made him angry, how he responded and if appropriate, what he can do differently. Secondly, if the situation becomes dire, and really does require you to step in as the parent, you now have a record of what has happened. If it becomes clear that you need to intervene, try these two master diplomacy tactics. First, go in asking questions. Repeat what is said so that the other party feels heard and you are sure that you clearly understand their side. Secondly, use the praise sandwich - tell the teacher something that you or your child likes, then share some of your concerns. Finish with some positive suggestions of what you would like to see moving forward, and be sure to include what your child could do differently as well to help resolve the conflict. Your teen's peers are all preparing for college or a career, with seemingly clear direction of where they want to go and what they want to do. Yet for your student, the thought of having to decide what she wants to be for the rest of her life right now is absolutely overwhelming. So rather than grab the bull by the horns and do something, she falls into a pit of apathy and angst, worried about choosing a career and whether or not she'll choose the wrong one. Wrought with teenage hormones, everything is a huge deal, and the fact that she doesn't have life figured out right now is only adding to her angst. While you cannot tell your teen to what to do with her life, there are some things you can do to help mitigate the angst and turn her away from apathy and back into at least exploring. Reassure your teen that she's in good company if she doesn't have it all figured out. Penn State notes in one of their blogs that an estimated 75 percent of students change their major before graduation. There are a lot of options in life that aren't even on her radar yet. In the meantime, she can explore a variety of different things and see what types of things she really loves. Have her read the book, What Color Is Your Parachute for Teens. While the book is a little older, it really helps teens think not just about a job, but the kinds of things they really like to do such as being in charge, creating, etc. Encourage activities outside of school. While schools have a lot to offer, it might be that the thing that really floats your teen's boat, can't be found at school. Study abroad, internships, or even a volunteer gig might really help her find what she loves to do - or even what she does not love to do. In an ideal world, all students would enter their respective schools as equals. Sadly, this is often not the case. What goes on in a student's world within school, outside of school, and indeed, inside their internal world, has a direct influence on what happens at school. 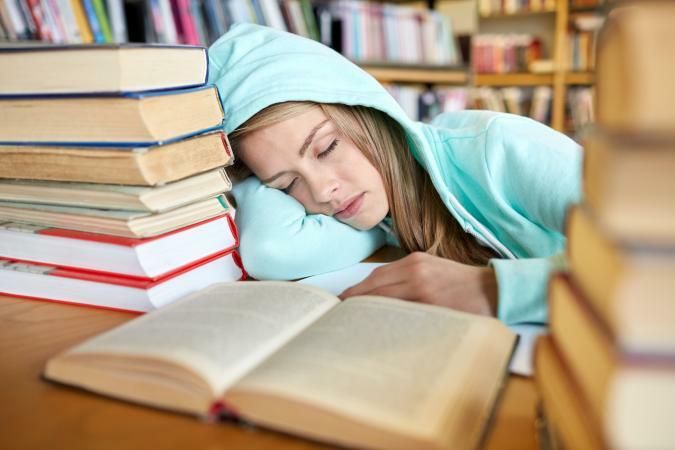 It is a simple fact that if a teenager is tired, hungry, unhappy, anxious or ill, their academic performance will probably deteriorate. It is important to remember that help is available and, within extreme situations where a student is not benefiting from their current school, there are other educational choices a parent can make such as different schools, independent study or university model schools, and home schools.